Could Mercedes be using a passive rear wheel steering? Could this be in the same vein as the Mclaren 3rd peddle? I have my reason why I think it is designed for heating.. I am glad to be proven wrong, but lets work it out scientifically. Erm... that's just an article from a Journo. Are you new here? haha. But seriously though, there are easier ways to cool the rim. That and changes under load. It's not exactly rocket science. Whoops, completely read over 'passive' in your post . I thought you were implying more of a conspiracy. Anyway, the only thing I would think they could get away with is letting the front of the gearbox tilt outwards a bit mid-corner. With the suspension arms mounted on the gearbox, an outward tilt could pull the front of the rear wheel inboards. Helping the car rotate in the same why supercar rear wheel steering works. This would, I'd think, make the car incredibly unstable at the rear though as the cornering speed increases. I'm still convinced that this rumor is just hot air though. Mercedes has just been getting their setups right on an already near perfect car. Anyway, the only thing I would think they could get away with is letting the front of the gearbox tilt outwards a bit mid-corner. With the suspension arms mounted on the gearbox, an outward tilt could pull the front of the rear wheel inboards. Wtf!? A tilting gearbox? wow. This topic does not extend to conjecture about Ferrari's "dissapeared performance". We will remove any message which does not has the W09's hardware at its core of the subject. Yea its totally riciculous but Ive heard worse before. I figured if articles are going to pop up about this rear wheel steering there must be something more devious than just some simple suspension geometry tricks. 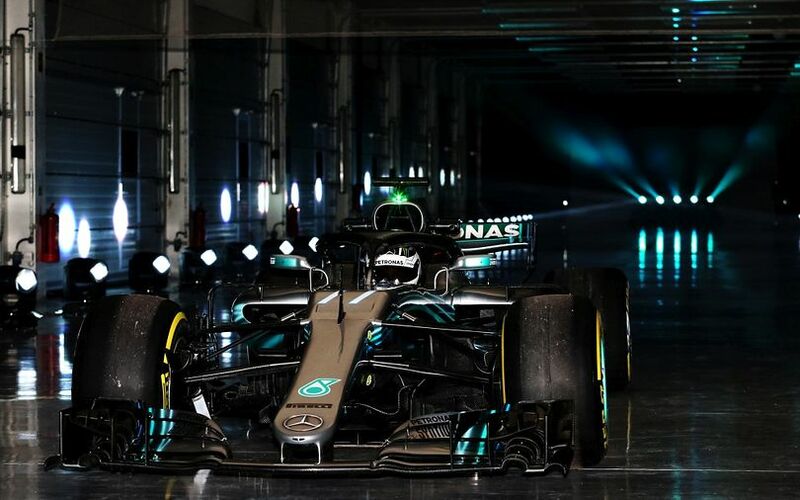 Looking at the rear of the W09 it doesn't look like they did something with a moving gearbox but rather something quite simple. 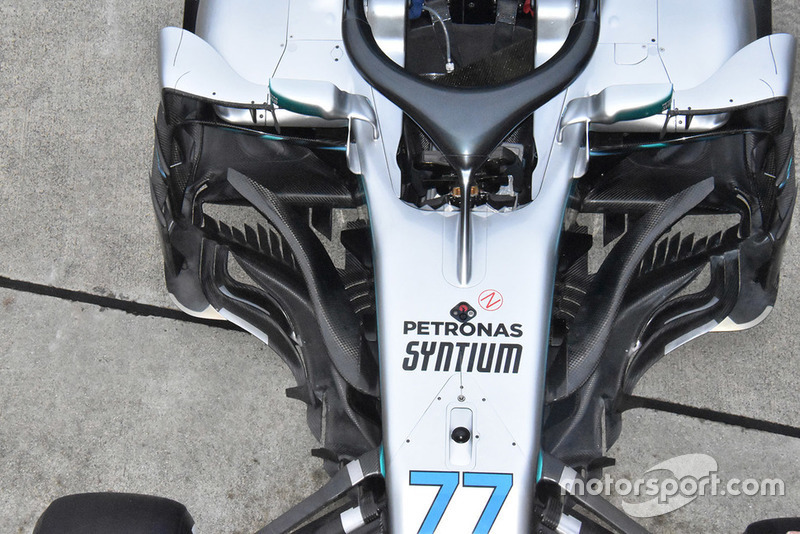 It looks like, same as at the front, they gave mechanical grip and the geometry of the wishbones, pull and pushrods, etc, a less compromised design then other teams, allowing them to be more precise and have a softer rear, helping with low speed grip. No point, you'd just make the mountings for the tie rods linked together and then make the thing compliant, you don't need anything silly like 'tilting gearboxes' or the other stuff the other author was coming up with. This is something that keeps getting dredged up by clueless hack 'tech bloggers' every year - we had the exact same accusation at the beginning of the year and last year. They never seem to realise everyone is using passive rear steering. Prove it's for heating the tyres if you're so sure.. True, im not saying that twisting the gearbox is whats going on or even something that is feasible. I was thinking anything that would allow the forward tie rods to push and pull the tires a bit would allow rotation around a pivot in the upright. I figured that since the tie rods can be mounted on the gearbox, let the gearbox rotate a bit and allow these tie rods to be moved inboard and outboard, effectively steering the rear wheels ever so slightly. So anyone know for sure 'split torque' is not legal? Isn't that exactly what all the differentials up and down the grid have been doing for a very long time now? I believe so, is that not 'steering' (assist) with the rear wheels?